Is anyone ever too old for Disneyland? Well, there's a difference between staying young at heart and never growing up, but we should never outgrow childlike wonder and joy. I'm still hoping that someday I can visit the the parks in the United States. Maybe I'll bring Nadine and Jolie. When they are tall enough for all the rides, that is. They would so have a ball. The Hong Kong Disneyland Resort is the third in Asia, and the smallest globally, but it is probably the one that's nearest to us in Singapore. So my friend Julia and I came up to Hong Kong Disneyland Resort to see what it's like. And for a few days' break from the kids. To a place where we can be kids ourselves for a bit. I know. Seems cruel to leave the kids behind, but this can count as a "recce" trip. We'll bring them next time, when we are ourselves refreshed. Ha. Actually, it is interesting to note that kids these days may not be as familiar with Mickey and Minnie, what with all the new characters flooding TV and cinema these days. I can't even keep up. But thankfully, Disneyland does include new characters in its theme park. Like Toy Story! I love the park admission tickets! Just look at those eyes. Luckily, we get to keep these. Yes, you'll see all the familiar buildings and park decorations that are Disney theme park icons. And nothing speaks signature Disney more than the iconic castle. This is Sleeping Beauty's castle, closely modelled after the original in Anaheim park. Some parks have a Cinderella castle. They have fireworks around 9pm at the Sleeping Beauty Castle every night. Pretty amazing, but too bad it was slightly drizzling that night we were there, so I couldn't take pictures. There's a City Hall in Town Square at Main Street, U.S.A where guest relations officers will help you with information and answer questions. You can arrange priority seating for selected restaurants, leave messages and obtain Guidemaps. One of the highlights that happens here is the Flights of Fantasy parade. It starts near the entrance of Storybook Theatre at Fantasyland. All the parade actors are decked out in stunning costumes. Here's Winnie the Pooh and Tigger. 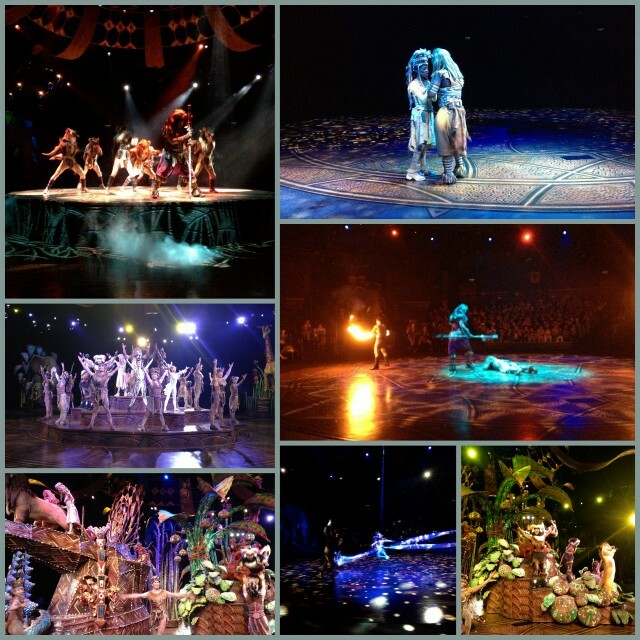 The Jungle Book float - do you see Mowgli anywhere? Riding the waves, Hawaiian-style, comes Stitch! I love these Buzz Lightyear robo-girls! Yes, the Toy Story float has all the characters. The festive parade comes scored with great music which really livens up the atmosphere. It really sets the mood for you to explore the rest of the park. 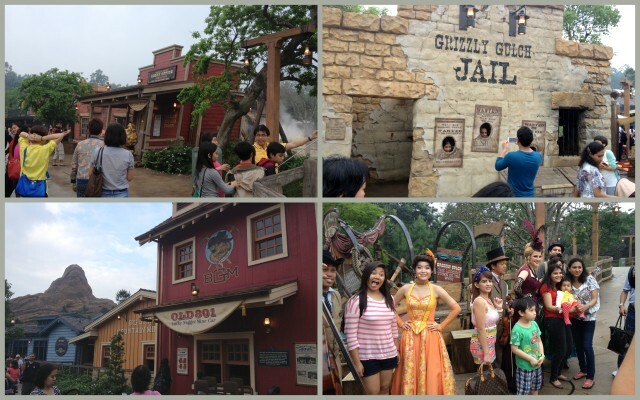 Now, if you would like to really breeze through the theme park without spending precious time queueing and waiting, you can sign up for their Tour Services (great for groups of up to six persons). You'll be accompanied a friendly and informative concierge who can give you direct or priority entrance to all the attractions. We tried it, and it was unbeatable. I never want to queue again. 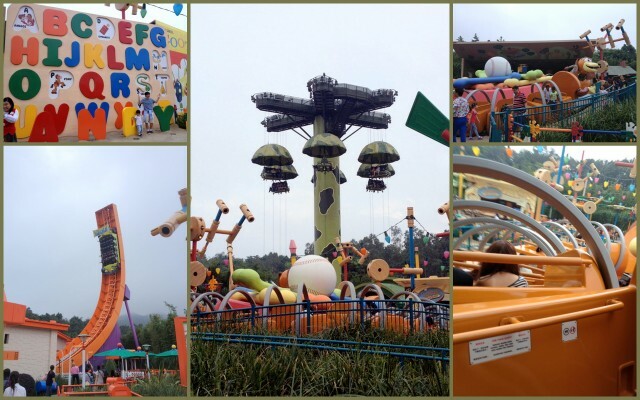 Toy Story Land is one of the most fun parts of the Hong Kong Disneyland Resort. It's also an Asia exclusive attraction. The rides here are some of the most thrilling - the Toy Soldier Parachute Drop (although not at real freefall speeds), and the Viking-like RC Racer (bottom left). You have to try them all, even the Slinky Dog Spin ride is more exciting than it lets on. The other fun zone that I like is the Grizzly Gulch. This is a world exclusive for Disneyland parks. This area is pretty much the old Wild West town, complete with county jail, colourful characters and interesting stores. 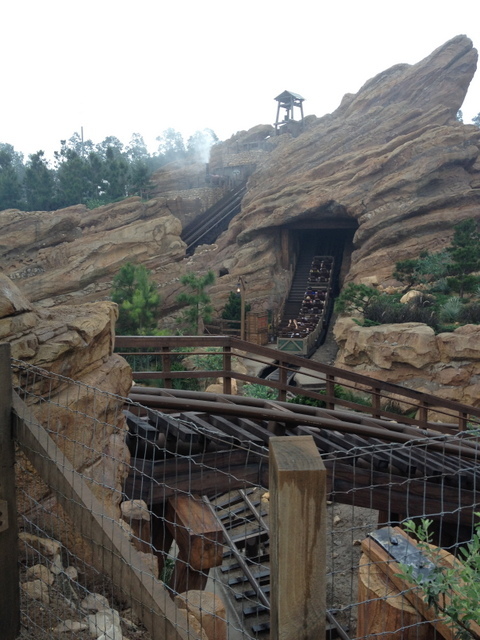 But the highlight for me here is the "Runaway Mine Cars" ride. Hands-down my favourite thrill ride here. Trust me, you are going to love it three times over. Those who have tried it will know what I mean, but I won't spoil the surprise for ya. The town is supposedly built on a geyser bed. So there are water play opportunities here. 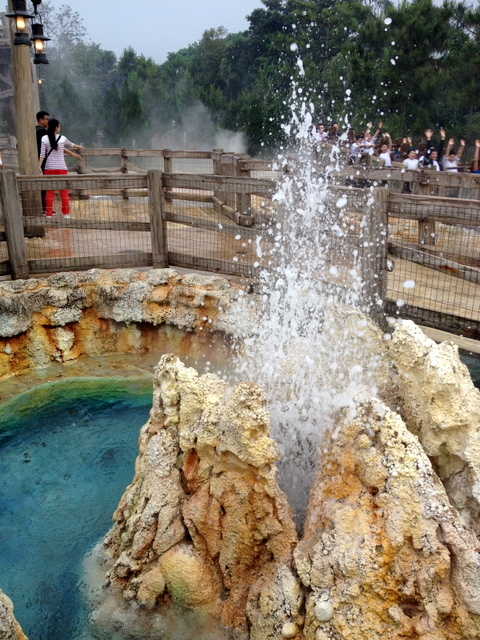 I wish the geysers were real and we could build an onsen right there with all the hot spring activity. 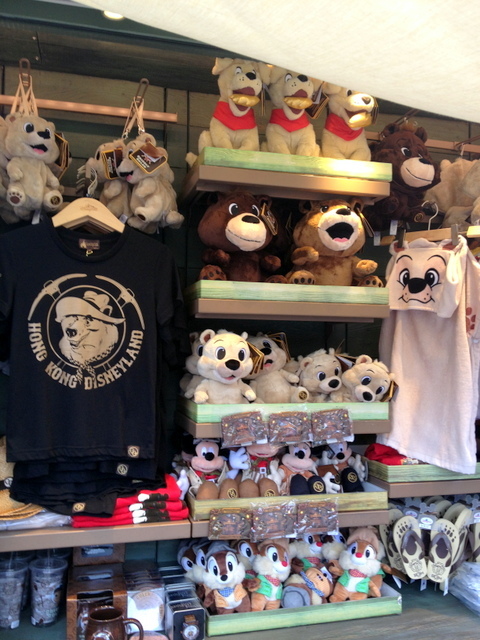 Of course, there are souvenirs and merchandise available at every turn. The bears are pretty cute. 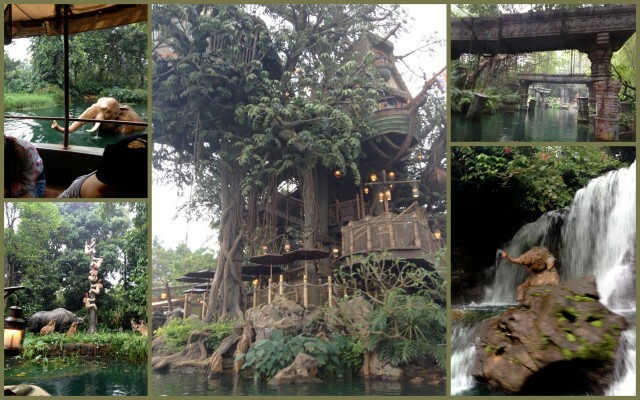 The other thing you must try is the Adventureland Jungle River Cruise. Think a cruise is boring? Oh you'll be pleasantly surprised. We had a good guide who made it fun with his wry humour too. Crocodiles! They look almost real, don't they? They move too. Menacing enough for me. Anyway, you'll see interesting things at every turn that keep you wondering what's coming up next. Some people will still prefer the more mellow rides, but I'm a thrill ride junkie. 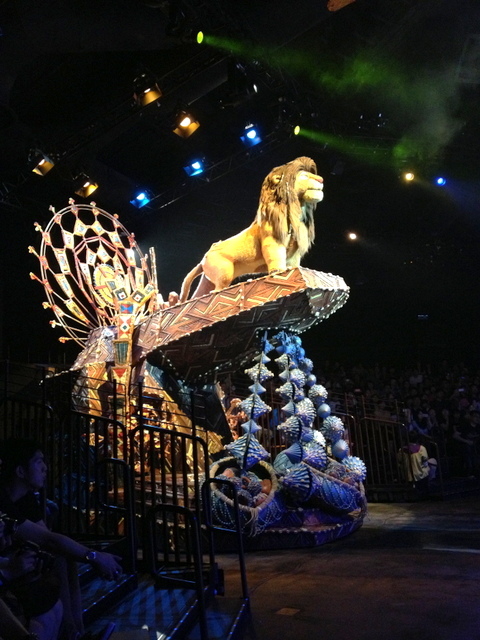 Finish off the evening with a spectacular show: Festival of the Lion King. Great cast, very well produced. I am amazed that even the local actors did very well. The props are fantastic. Here's just one of the many. Well, there are quite a few showtimes throughout the day, so check the daily schedule. "Now it's time to say goodbye to all the family. M-I-C...K-E-Y..."
Does anyone else remember that or am I revealing how ancient I am? Hahaha. Well this is not the end yet. 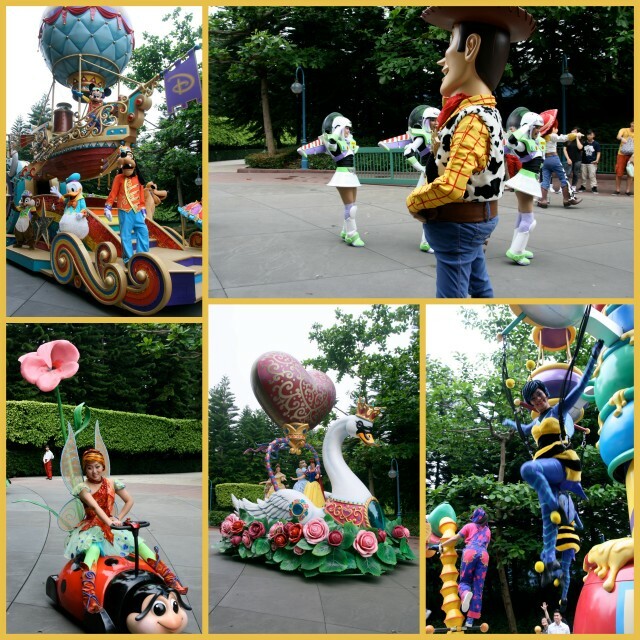 I have other posts coming up on Hong Kong Disneyland. Will update with the links once they go live.